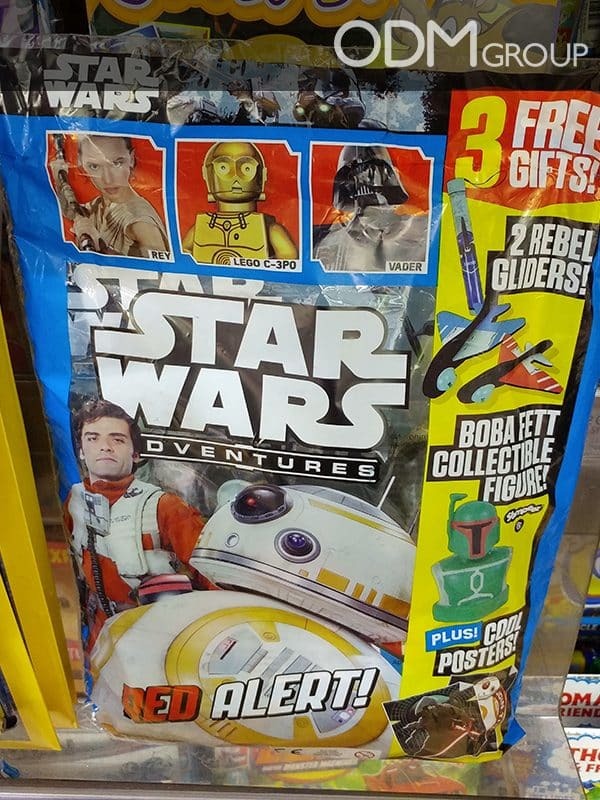 We spotted these fantastic in pack movie and TV merchandise as covermount promo gifts on children’s magazines at WHSmith, a book and stationery store in UK. 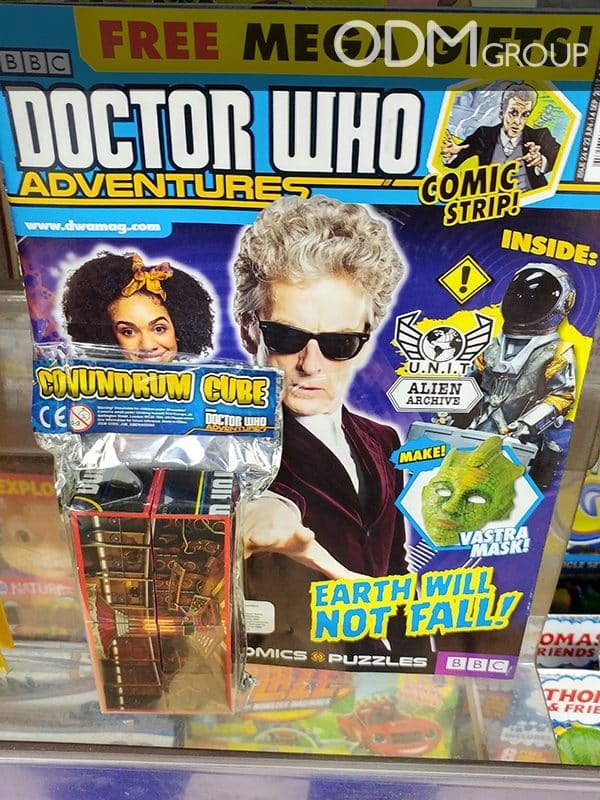 Magazines BBC Doctor Who Adventures, Marvel Heroes, National Geographic, and Star Wars offered limited-edition promotional toys and gift items for their young readers. This promotional stint was done last year. Covermount Promo Gifts for Kids – How Effective? It is a good marketing scheme that magazine publications can use to increase readership. With marketing gifts attached on the cover, who wouldn’t get excited? 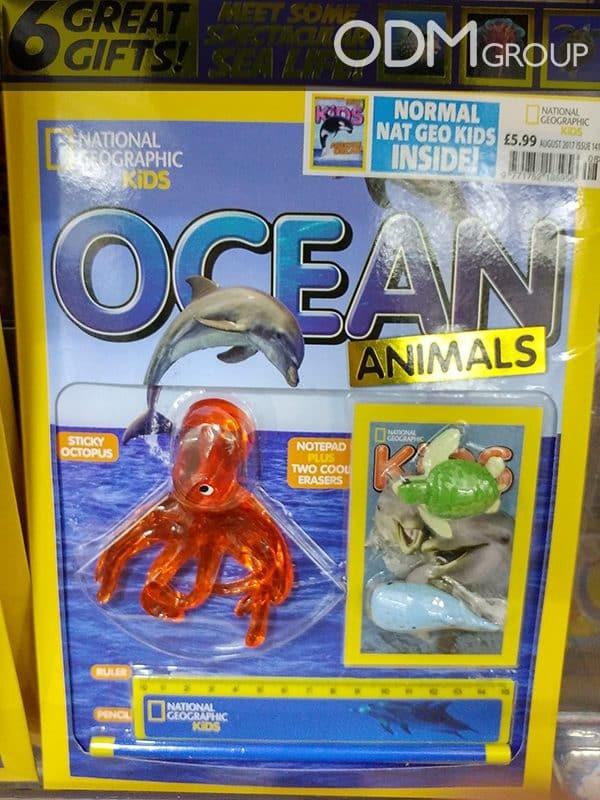 Novelty: The products are unique and appropriate for their target market. Since the freebies are unique, we are sure that kids will be delighted! Sustains Interest: Kids love to imitate their favorite action heroes. That is why toy guns, gadgets, and props are effective in grabbing their interest. Interesting marketing gifts that remind them of their favorite movie and TV characters can certainly sustain their interest. With covermount gifts, readers will have something to look forward to when the next issue comes out. Others might consider subscribing right away. 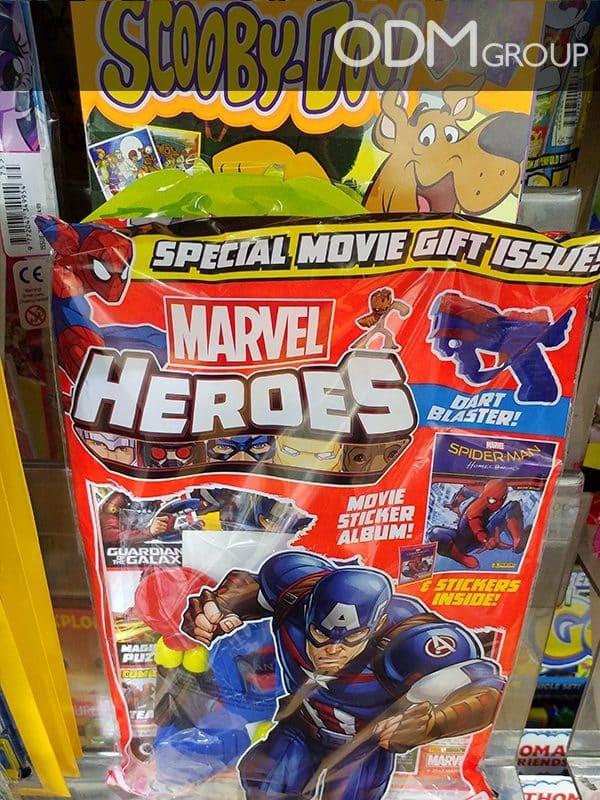 Perceived Value: The “special edition” gift increments the magazines’ value because the products are available for a limited time only. Thus, motivating people to purchase the magazines. This could result to higher sales and increased readership. Shows Appreciation: Including covermount gifts are a simple yet effective way to say “thank you” to your readers. Customer incentive can make them feel they are being rewarded for supporting their publication. Encourages Reading: These customer giveaways can have a positive impact on their target market as they encourage kids to read more. Covermount promo gifts are definitely one of the best ways to increase readership. This is because the excitement customers get in receiving rewards reinforces loyalty and brand engagement. If you are considering using covermount promo gifts for your next campaign, turn to ODM. Our staff will assist you from brainstorming, to designing, and manufacturing of promotional products and packaging. So get in touch with us today! This Covermount golf set toy from Peppa Pig is very interesting which made the workbook stand out on the shelf.